WE HAVE GROWN! Light Beam Antenna & Apparatus, LLC has moved to a larger facility. We ARE once again processing new orders! Are you on our mailing list? If you’d like to receive periodic updates from us, please share your email and we’ll be sure to add you. We promise to never share your information with anyone. stealth: noun \’stelth\: the state of being unobtrusive; the quality or state of being secret, sly, or surreptitious. For amateur radio enthusiasts who live in a modern urban or suburban setting, it can be next to impossible to enjoy your hobby and craft without upsetting the neighbors, aggravating the homeowner’s association, or both. Light Beam Antenna & Apparatus, LLC offers a variety of compact, efficient, and stealthy solutions. Our Light Beam and Light Beam Plus antenna models are Mono-Band Antenna products that are designed for high performance in one Amateur Radio band from 20 to 10 Meters, depending on the model. They are very compact, with a very short turning radius. 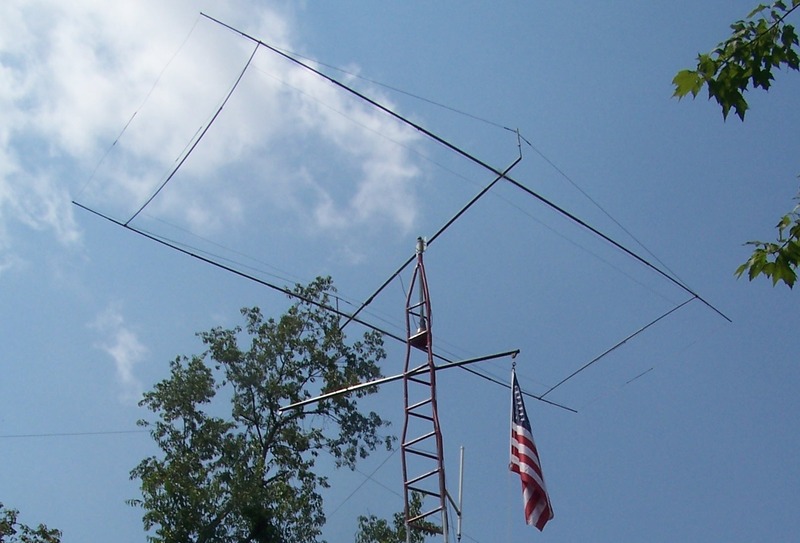 Comparing antennas designed for a given Ham band, the Light Beam antennas are 1/4 the width of a normal dipole or Yagi and are 1/2 the size of a fullwave quad antenna. Our design of an extremely strong and light weight support structure results in an antenna system with a low visual impact and is nearly indestructible. Our Light Beam Multi-Band LBM-2X and LBM-3X Multi-Band antenna models are designed for those who wish to operate on more than one band of frequencies. The Light Beam Multi-band Antenna has been developed for Hams who want one antenna which enables them to operate on multiple amateur bands. Based on the tried and true Moxon antenna design, the LBM –2X and LBM-3X antennas provide excellent performance on 2 or 3 bands, depending on the model you select. Smaller than comparable antennas, the LBM models are 70% the width of a full sized multi-band beam or dipole and has a short turning radius, yet handles a maximum allowable power input of over 1.5 KW and is over 90% efficient. There are NO lossy traps included in this design – almost all of the power you put into the antenna is radiated. Element spacing has been optimized for maximum gain and Front to Back ratio. The antenna impedance is 50 Ohms. No matching network, device, or antenna tuner are needed while only a 1:1 Balun is needed to translate the interface from the balanced antenna to your unbalanced coaxial cable. 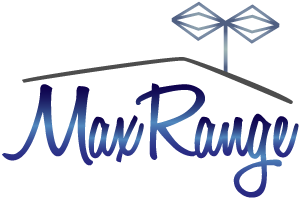 LightBeamAntenna & Apparatus, LLC now offers a line of HDTV Antennas through our new TV antenna Division, MaxRangeTV. If you would like to enjoy FREE, over-the-air HDTV without a monthly service fee, Check out our new HDTV products at MaxRangeTV.com! 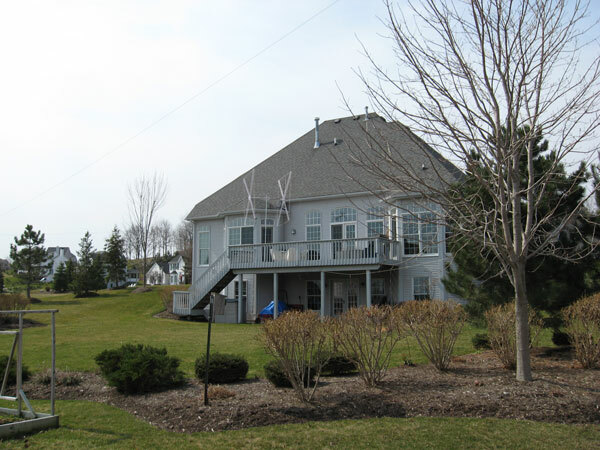 "Thanks for the design and high quality workmanship. We have had very high winds lately and it has weathered them all!" "Wow!! Hands down this is the best antenna I have ever used... Pretty cool!" "These numbers look wonderful! 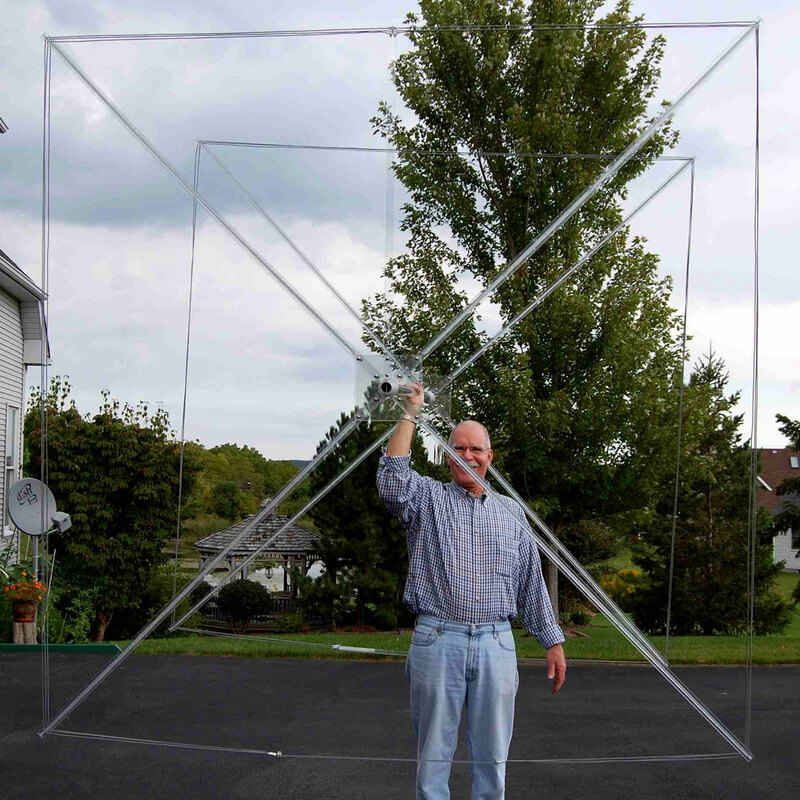 Great – beyond my wildest dreams – what a good job you did on building this antenna."